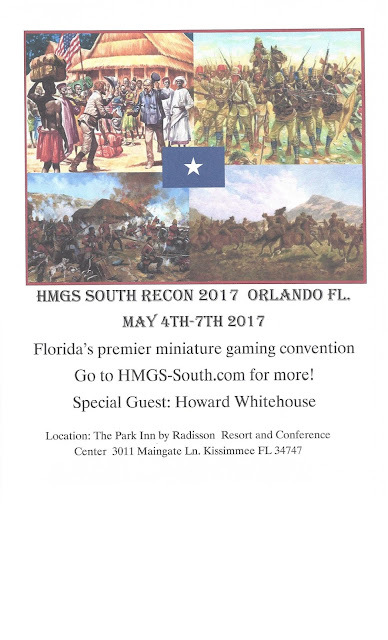 HMGS South's Recon 2017 Convention - The theme is Colonial Battles in Africa and the special guest is none other than Howard Whitehouse. Howard plans on running some games, check the HMGS-South.com website for days and times. His desire is to run a Darkest Africa 'Astounding Tales' on Friday night (loud, lots of people) and a Science versus Pluck on Sat afternoon. In addition we will have our regular TSTAF crew running a different colonial game every session on the same table all weekend long. Thus far we have (2) Darkest Africa games, (2) Sudan games, (1) Anglo-Zulu game, a game set in 1903 Morocco, with more to come! More details to follow on all the games. 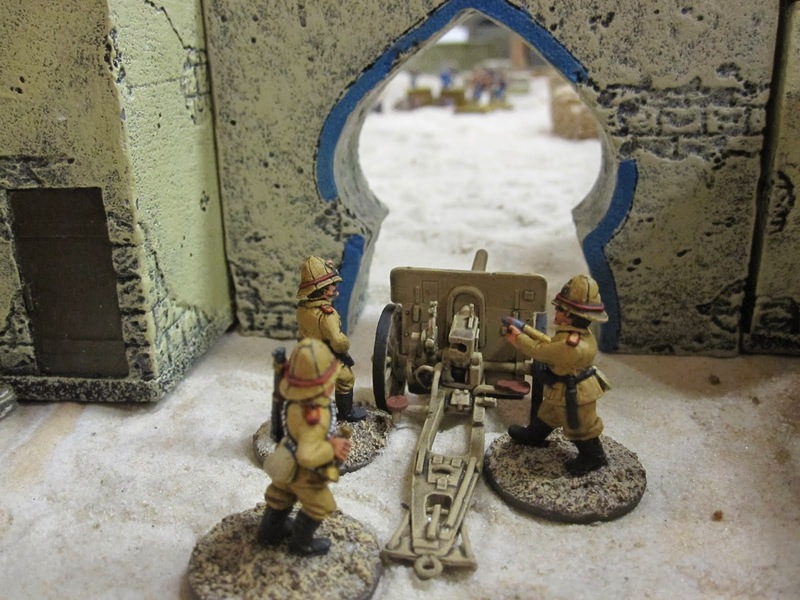 Last Stand Dan will be there with his Congo boats, Dhows, and Gunboats! Several of which will be in our scenarios.